What is the redbax reach program? The Redbax Reach program (RRP) is an initiative the first of its kind in contact sports in New Zealand. It is the program that allows those junior level players who have played flag football and wish to play more and learn more. RRP allows junior level players to practice and learn along side senior players and gain higher level of skills and mentoring. Junior players train with and against senior program, while at the same time being mentored by the older players so that they can develop into excellent men and women. Why the redbax reach program? ​Youth football in its most simple phase is that it is a period when basic skills and knowledge is gained, much like high school football in the united states so that entry into men’s contact is a lot more seamless. The biggest issue isn’t just getting numbers, its maintaining them and then converting those younger players into the men’s program. Getting players in at a younger level is difficult because unlike Europe or Asia, New Zealand already has four codes of football three of which contain an oval ball and a large complement of physicality. AFC has recognized that a flag program in this region although a complementary step must be in conjunction with more advanced initiatives. On the surface, it would appear such an initiative sevens football successful after all its logistically more acceptable to this region. Seven men on the field is better than 11. 21-man rosters are better than 53. A coaching staff of three - four is better than 12. With this football “education” the very foundation of the passing game means it is easier for football “the game” in New Zealand to grow. It is the passing game that separates this sport from the other football codes. It is the facet of the game that brings fans to the sport and unless we accelerate that learning curve the game won’t flourish. A key aspect rests in developing a restructured brand of football that encapsulates and holds true to the basics of running tackling and blocking of regular 11-man football but at the same time encompassing the lesser economic logistical and infrastructure requirements of 11-man football. The seven-man game accelerates the learning curve and process in addressing areas such as the passing game yet be flexible enough to expand the knowledge base of and fall within the parameters that are acceptable to the New Zealand demographic. It would increase games played, reps taken, knowledge gained. 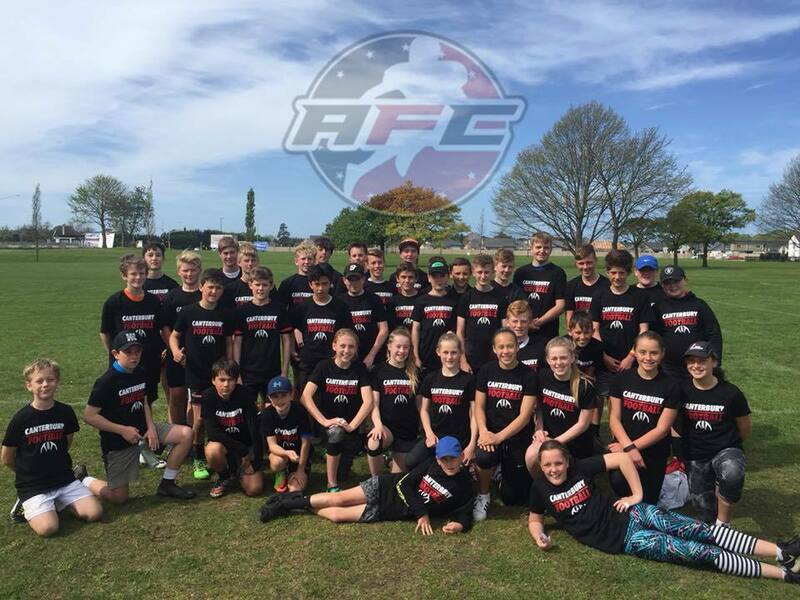 ​Anyone who was gone through the AFC flag football program for minimum of two years and is over the age of 13 can participate, along with anyone over the age of 14 if not. There are no Gender restrictions as the program is all inclusive.